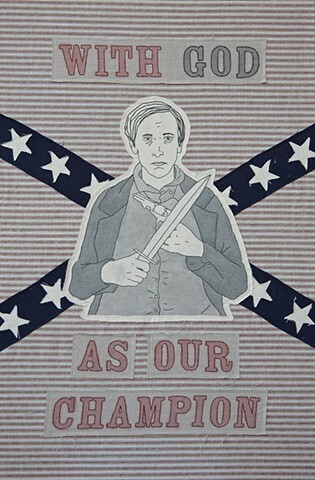 With the series At War With Ourselves, I use the American Civil War as a platform to discuss the polarities of contemporary politics. 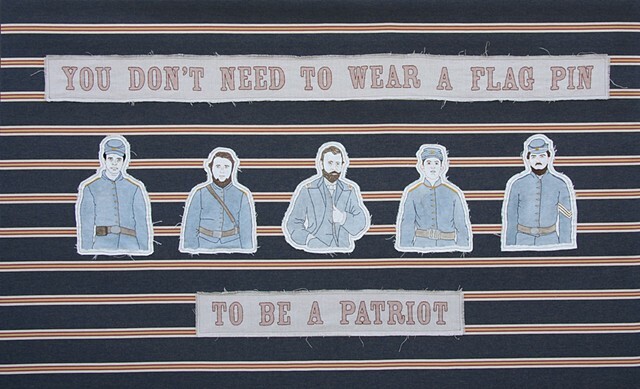 I believe that, in many ways, we are still politically and ideologically fighting the Civil War. 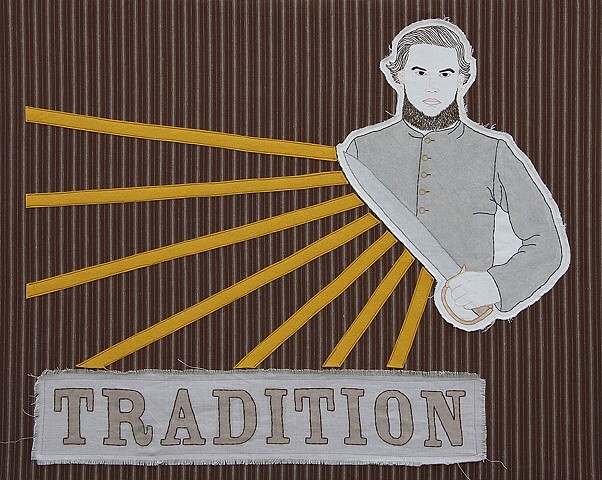 The battles over tradition vs. progress, state vs. federal power, big vs. small government, and the struggle for equality and civil rights provoked the Civil War, but they are ongoing today. 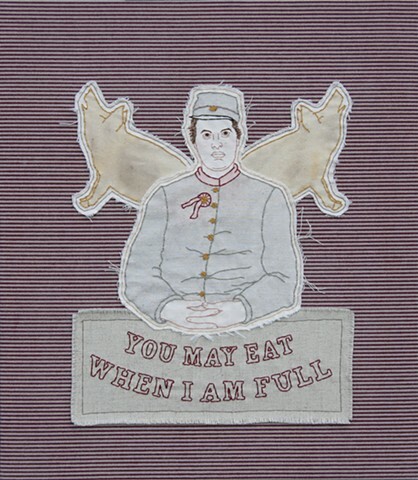 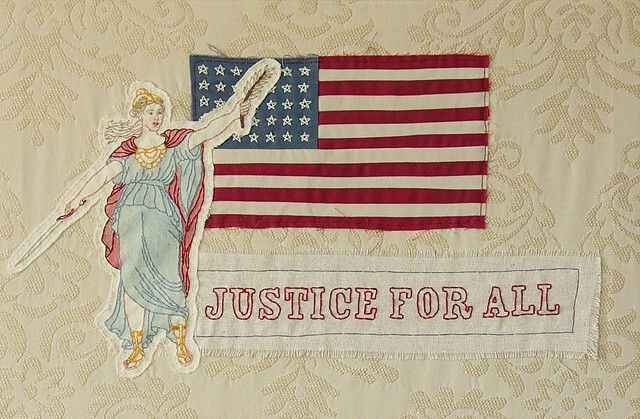 In this work, I take historical photographs and illustrations from the Civil War and late 19th century America and use them to create patchwork embroidery. 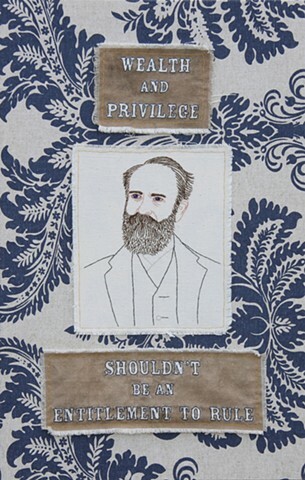 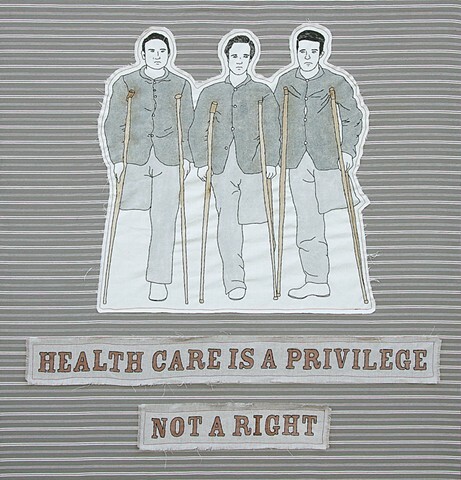 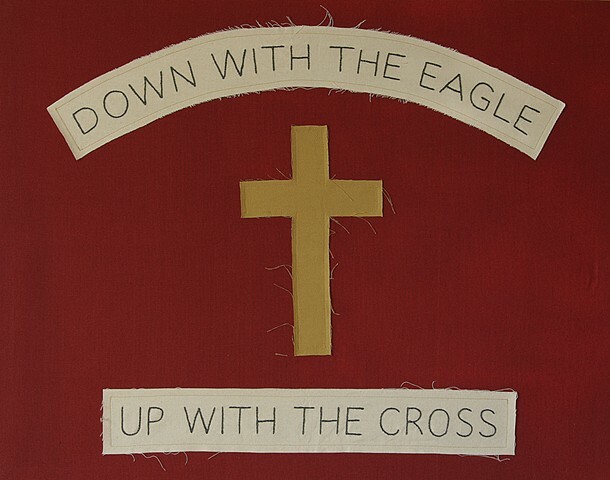 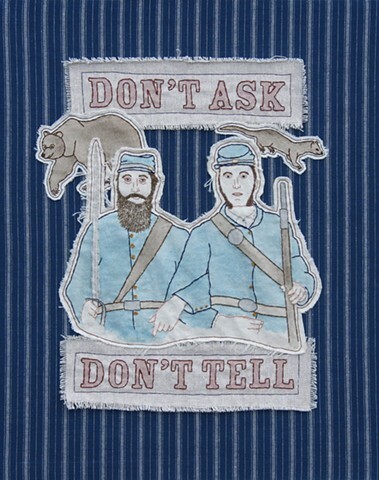 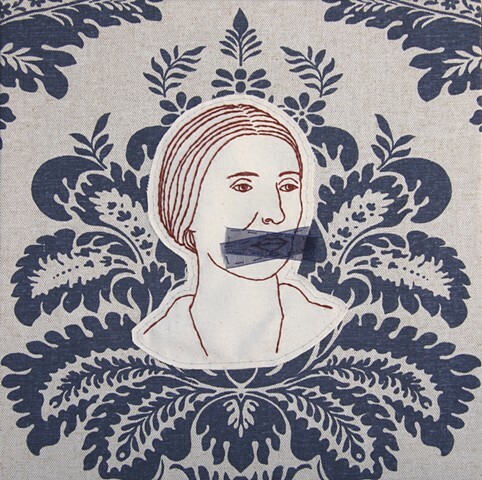 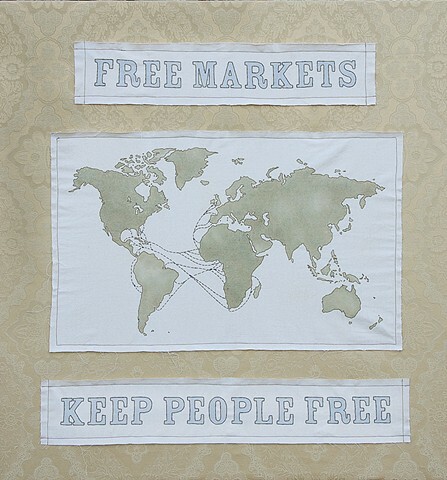 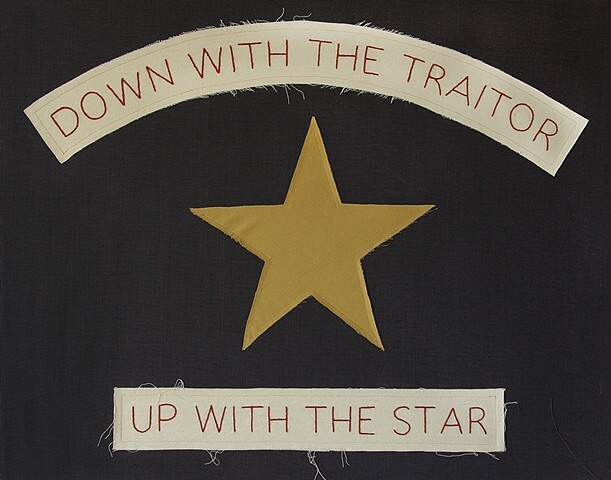 The sewn historical images are paired with embroidered text either written by myself or derived from historical and contemporary sources, including Civil War era journals, quotes from political figures, and slogans from both the Democratic and Republican parties’ websites. 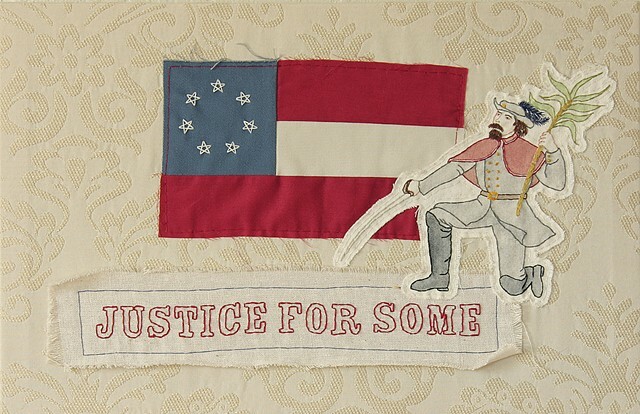 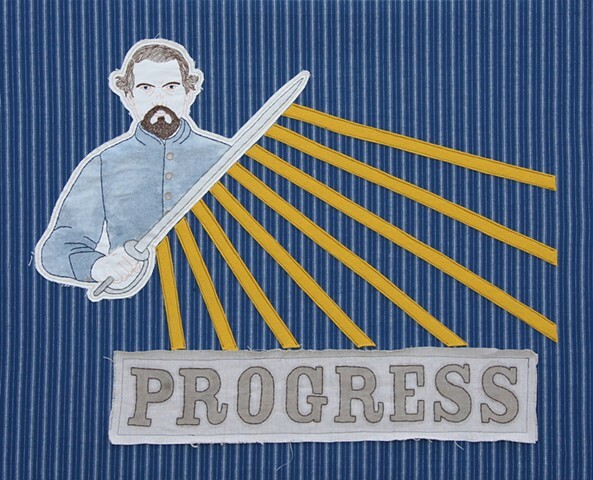 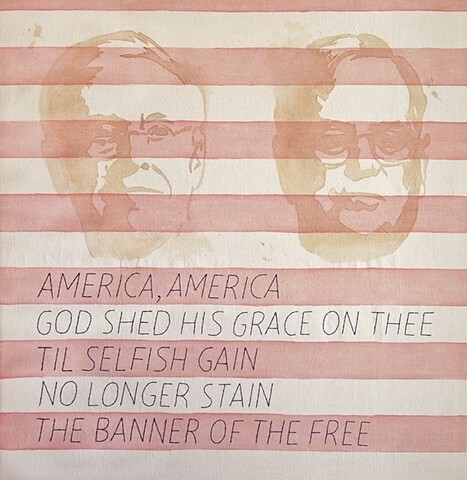 Using techniques from American folk art traditions and early 20th century propaganda posters, I place images alongside text to encourage the viewer to reconsider the motives, meanings, and power of these messages and to question how far we have really come as a nation since the 1860s. 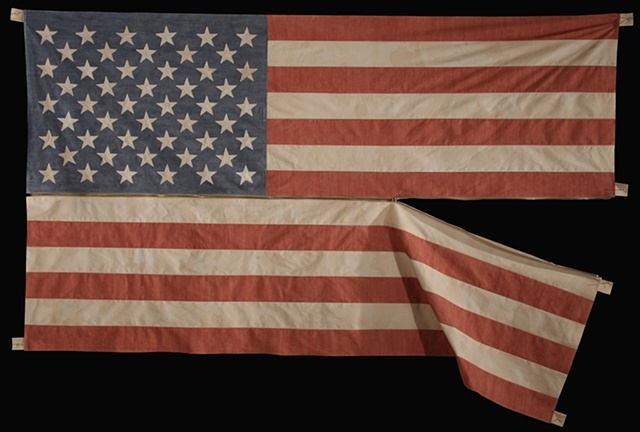 16 1/4" x 14 1/4"
35 1/2" x 57 1/2"
34 1/2" x 59 1/2"
17 1/4" x 13 3/4"
25 1/2" x 31 3/4"